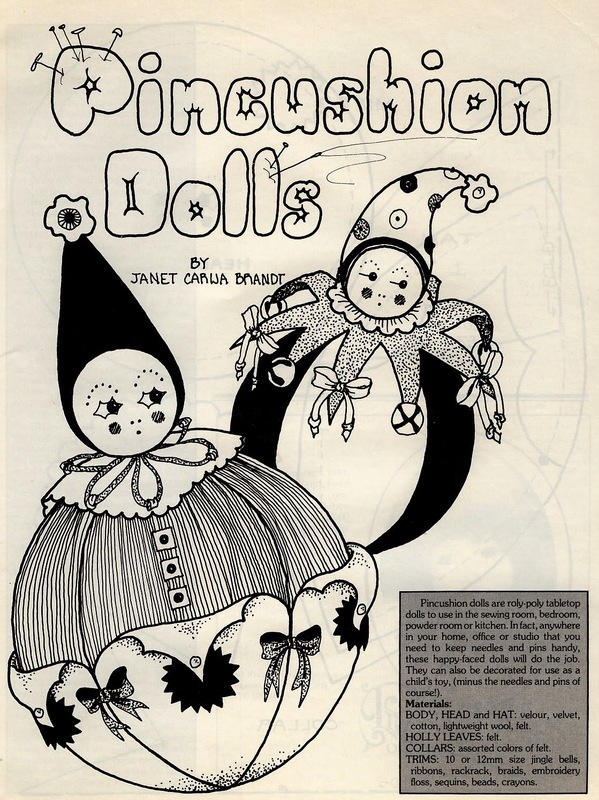 This pattern to make a pincushion doll in two variations was designed by Janet C. Brandt and published in the November 1984 issue of Doll Reader magazine. The doll could also be made up as a child's toy. No size is given for the dolls, but they look like they would make up at about 6" tall. The body is made in five or six segments to give it the rounded shape. The facial features are embroidered. Two examples are given as to how they could be finished, but there are many possibilities with these dolls. My main concern with the pattern is there is no method given for weighting the bottom so that the dolls would stand up straight, but it doesn't seem like it would be too difficult to figure that out. 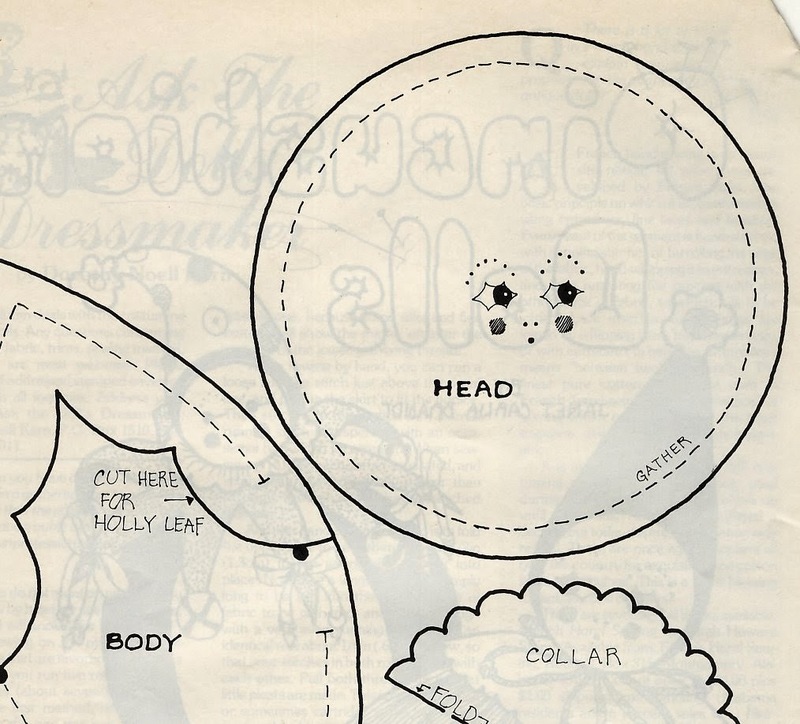 This is a cute pattern for a sewing room doll that could use up scraps of felt, fabrics and trims, and be decorated in many ways.